It’s that time of year when we start to wonder how we will spend our holidays. Will they be meaningful or just more things to put on our to do list? With so much pressure to shop and over extend ourselves, we hope that this news letter will help add more joy and ease to your holiday. Why not think of healthy gift giving this year? Health is always in style and it truly is the gift that keeps giving. Hopefully, this list will help inspire you to create more health for everyone this year. this will keep you, your family and friends healthy over the flu season. How about a good book on healing? “Liver Rescue” is a great one. give a cute stuffed handmade toy and feed other children at the same time. It’s the perfect gift to get you in the holiday spirit. Music always makes the holiday more festive! One of our favorites is a group called Pentatonix. One of my personal favorites for improving everything from posture, back pain, and overall energy flow is the Ma Roller. Our last gift idea is to offer your family and friends a gift certificate for a healing session with us!! Just let us know what amount you would like and we’ll be happy to make one for you! We wish you a Merry, Healthy Holiday Season and a Happy New Year to look forward to!! PS -Also, we want to let you know that February 1, 2019, our per session fee will increase from $52. to $ 55. Thanks! If so, you’re going to want to read this newsletter! We’ve always wondered why more people don’t work on improving their immune system so that they can improve their health . It just doesn’t seem to be the focus of our medical system. If you focus on boosting your immune system, your overall health will improve; and most likely you will be one of the lucky ones that won’t have the flu this season. We hope that by sharing this information before the flu season, you will stay well. And, if you should come down with one of those crazy bugs, we have a few tips that will help you start feeling better a whole lot sooner! Best to start doing this now, before flu season is upon us. Goldenseal is a powerful immune booster. It’s an herbal anti-biotic with anti-fungal and anti-microbial properties. It is important to follow this sequence for goldenseal to maintain the most potency in your body. Place the Zinc & Goldenseal in a shot glass with a little water or juice and hold under your tongue for a few seconds, (30 seconds is best) then swallow. Yes, you will make a funny face because it tastes bad!! But it’s worth it – so just do it!! When we really want to super charge our immune system we will add Sovereign Silver shots throughout the day. Take a tablespoon and hold under your tongue for 30 seconds and then swallow. Other great supplements to have on hand during the flu/cold season are olive leaf, elderberry, Vitamin C, mullein leaf and lomatium is super for your lungs. And, as the old saying goes – feed a cold and starve a fever. We hope this information will help you stay healthy through the upcoming holidays. And start this New Year in wellness! It finally feels like summer has come to Seattle, and we’re thinking about how to make the most of it! The first thing that comes to mind is all the amazing fruit we can eat. Not only is Washington State known for the Red Delicious Apple, but did you know that we grow 90.5 % of the US production of Red Raspberries? Yup… we do. All berries have incredible healing power but the Red Raspberry, well, here are some stats on the red raspberry. They are filled with fiber and natural sugars which provide you with natural energy and helps lower your cholesterol. They are high in manganese which helps tissues, bones and your skin. Vitamins C & K nourish your musculoskeletal system and support bone development. They are also high in antioxidants and flavonoids which fight cancer and cell damage. 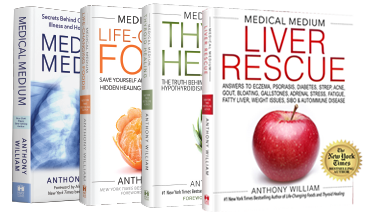 Our friend, Anthony William, aka Medical Medium, www.medicalmedium.com says “If you seek abundance, become a student of the berry. From late spring to late fall, there’s never a gap in berry offerings.” Let’s just say you can’t go wrong with berries! Here are a few places to pick your own berries. Use frozen or fresh raspberries to make this easy raspberry sauce. Perfect for cheesecakes, ice cream, pancakes and more! 3.Pour this into the boiling raspberry mixture. Stir and boil over medium-low heat for 4 minutes or until the mixture has thickened a bit. 6. Allow the mixture to cool for 15 minutes, then add the last of the raspberries and stir to mix. 7. Serve over whatever dessert you’d like! 8. Makes 2 1/4 cups sauce. Refrigerate the leftovers. Our office is open throughout the summer, so if we can be of service, we would love to see you and hear what you’ve been doing this summer! How do we “deal” with a world gone crazy?! With so many disturbing things occurring in the world today – some natural disasters, some man made disasters – how do we make sense of it all? All of these things touch us at a very deep level – whether we know the people involved or not, whether we react with horror, sadness, grief or even anger to current events. How can we respond rather than only react to these events? First, we can feel our feelings as they come up but try not to get lost in reactivity. And, of course, do what you can to help, i.e., donations, prayers, service to others, etc. Use the energy from the emotions and feelings to have a positive influence on the situation through your actions, but don’t get caught in the reactivity that comes up. This means being part of the solution not the problem. Easy to say, hard to do!! But just do your best! Don’t get lost in the negativity and despair; that’s already the problem. Just look at what Mr. Rogers said! Not just for kids! To this day, especially in times of ‘disaster’, I rememer my mother’s words and I am always comforted by realizing that there are still so many helpers – so many caring people in this world. Ready, set, don’t stress! Yes, it is the holidays, but that doesn’t mean we have to stress ourselves out over it. Of course, there’s lots to do; but don’t forget what this time is about. It’s important to remember to treat everyone with patience, kindness, and compassion – and, don’t forget, this includes you! With that being said, it’s important to take the holidays slow. Let’s talk about the magic of Angels! This is the season when many of us think about Angels. If you have never asked an Angel for help or if you have, but didn’t feel it got you anywhere, we would like to share a few tips we have learned from our dear friend & bestselling author, Anthony William. He reminds us that the first step in working with Angels is to give the Angels your true consent. They know how challenging life on earth can be and they are here to offer us their support, love and guidance. The second tip we’re about to share is a life changer. Once we started doing this we noticed a remarkable difference in our experience with these heavenly beings. So, ask the Angels out loud for their help. Call them by name. * We don’t mean scream it, but say it out loud. Don’t keep it as a thought. Imagine the Angels trying to read your mind, with all the thoughts, worries and dramas going on in there. Make it easy for them, give them a clear read on what you want help with. Many of you have already shared how helpful these tips have been and we have been in awe of your stories. Miraculous things happen when you have Angels on your side. May the Angels light and bless your Holidays. So, in closing, we feel very blessed to have all of you as friends and associates! We both want to wish the happiest of holidays to you and yours and an amazing New Year in 2017! !